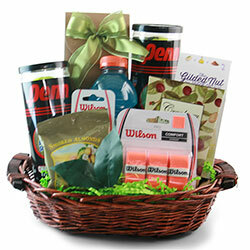 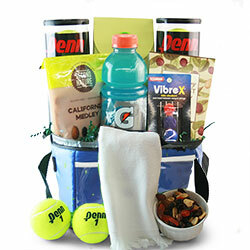 Whether they’re a beginner or a 5.0 tennis player, they’ll absolutely love these one of a kind tennis gift baskets. 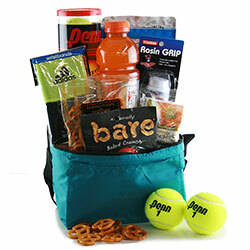 With a stellar collection of Penn Tennis Balls, raquet vibration dampeners, overgrip and even refreshing and revitalizing snacks you can’t go wrong. 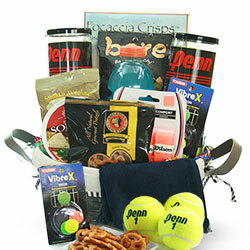 It’s simply a match made in heaven!